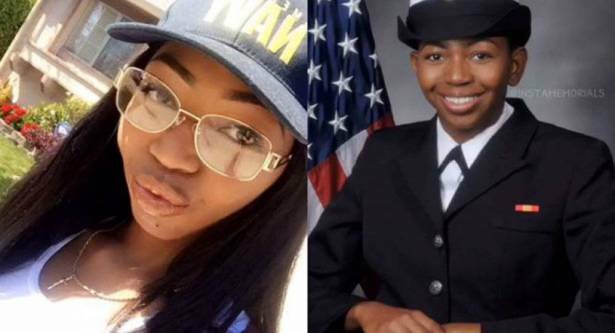 At the time, the service said the October 10 death of Seaman Recruit Danyelle Luckey of Pittsburg, California, resulted from an unspecified "brief illness." According to Luckey’s parents, Danyelle texted them saying she was feeling under the weather the first week of October. "She said it felt like she had a cold or a flu, that she couldn’t keep anything down," Annette Luckey told East Bay Times on October 23. "She was upset because they told her she had seasickness, but she told them no. She knew her body," the mother explained. The Luckeys never heard from their daughter again. "I trusted the United States Navy with my daughter," father Derrick Luckey told the news outlet. "She didn’t die on the battlefield. So what happened here?" "You know, did a doctor see her? Were they keeping an eye on her?" the mother wondered in the late October interview. "What was going on that whole time? We need to know that for our own sake." Infections set off a natural chemical response in the body. When too many chemicals in the bloodstream spur an abnormal inflammatory reaction, sepsis occurs, according to the Mayo Clinic. Bacterial, fungal and viral infections can all cause sepsis, according to the Mayo Clinic. While the illness begins with an infection, the inflammatory changes "can trigger a cascade of changes that can damage multiple organ systems, causing them to fail," the Mayo Clinic reports. "If sepsis progresses to septic shock, blood pressure drops dramatically, which may lead to death." Luckey’s death led to two separate investigations by the Navy’s medical team and by the Navy Criminal Investigative Service (NCIS), Stars and Stripes reports. Both reports, as well as the young woman’s autopsy results, have been sent to the family, the military newspaper said. Luckey’s deployment aboard the USS Ronald Reagan, a supercarrier whose base of operations is in Yokosuka, Japan, was the first assignment the young sailor had received.